Legacy PBX is on its way out as unified communications (UC) takes over the business communications market—the proof is in the numbers. For example, a recent report from Infonetics Research found that the PBX market was down 7 percent year over year in 3Q14. In comparison, the same report noted that UC applications usage rose 21 percent in the same period, meaning any PBX system that doesn’t include UC features is likely looking at a rough road ahead as the legacy phone system market continues to free fall. notes Diane Myers, principal analyst for VoIP, UC and IMS at Infonetics Research, in an addendum to the report. Put simply, an increasing number of businesses are discovering that UC is simply too beneficial to ignore. For example, with a best-in-class phone system offering robust UC capabilities, businesses can actually cut their telecom expenses in half. 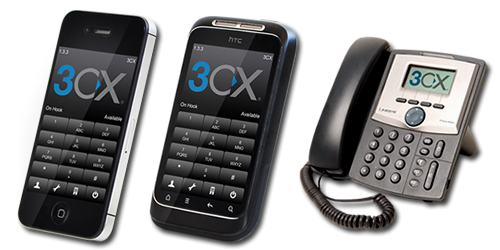 Old-style PBX systems are also far more difficult and expensive to scale, as adding capacity typically requires additional hardware and licensing costs. Does UC have your attention? Click here to download our white paper “How Unified Communications Can Increase Your Business Productivity” to learn more about the technology.